T. Thomas Ackerman has been writing fiction for over fifteen years. 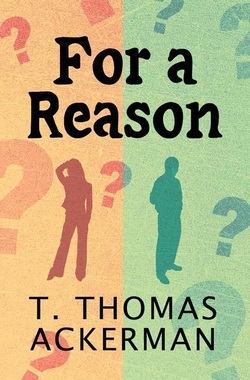 His first published book, For a Reason, was released in 2009. His last book, THE SAFEHOUSE, was released in July, 2011. As a continuing advocate who strives to fight for victims of domestic violence, the author donates 25% of royalties from THE SAFEHOUSE to the National Coalition Against Domestic Violence. He is currently working on his next book. He lives in Connecticut with his family. Many times in our lives things happen, good and bad, that point us in the direction of the road that our lives will take. Most of the time we take it for granted, without a second thought, that this is just the way it is. For Daniel Keller and Jenny Sullivan, life was just a series of daily happenings, happenings that were accepted without a second thought. That is until they were brought together by a tragic mistake. From that point onward, their lives would become entwined. First as victim and assailant, then as friends, then as...But was it all for a reason?